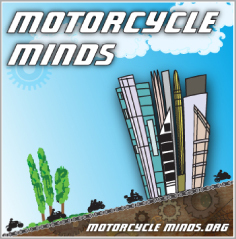 This Friday 16th September a meeting of the Motorcycle Working Group (MCWG)/MVEG (Motor Vehicle Emissions Group on motorcycles) will take place in Brussels. This will be to discuss mainly the status of the Commission proposal for a Regulation (codecision act) of Council and Parliament on type-approval and market surveillance of L-category vehicles which includes motorcycles. These working groups, which there are a raft of, including – MVWG – Motor Vehicles Working Group – MVEG – Motor Vehicle Emissions Group to WGAT – Working Group on Agricultural Tractors etc, are set up by the Commission to assist in proposing EU legislation or exercising tasks of monitoring and coordination/cooperation in relation with EU policies. These groups provide expert advice to the Commission. They may consist of national/government experts but also experts or stakeholders from business, NGOs, trade unions, academia, etc. 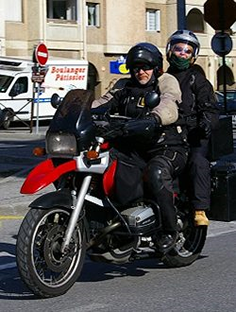 For motorcycling the representation that we are aware of is the FIM (Fédération Internationale de Motocyclisme and FEMA (Federation of European Motorcyclists Association). The draft agenda for Friday’s meeting and the status of the European Commission’s regulation proposal includes items regarding studies on – Durability – Tampering prevention of powertrain and noise abatement system. We assume that this will be a report from the TRL (Transport Research Laboratory) anti-tampering study. This study set out to identify undesirable vehicle modifications that have adverse effects on the functional safety and/or the environmental performance with respect to emissions and noise of the wide range of L-category vehicles. This is the article that previously appeared to ‘outlaw’ components “that have a dual use, for vehicles intended exclusively for racing on roads and for vehicles intended for use on public roads, they may not be sold or offered for sale to consumers”. If Article 52 is aligned with the addition of the text “unless they comply with the requirements of this Article. Where appropriate, the Commission shall adopt provisions for identifying the parts or equipment referred to in this paragraph”. What this appears mean then is that any product in compliance with type-approval rules and also appropriate for racing vehicles, can be sold to consumers – the “ordinary” motorcyclists. Please bear in mind we are interpreting this from the text in the Commission’s proposal and need to clarify this. Paragraph 4 says: “After a modification of the powertrain, a vehicle shall comply with the technical requirements of the initial vehicle category and subcategory, or, if applicable, the new vehicle category and subcategory, which were in force when the original vehicle was sold, registered or entered into service, including the latest amendments to the requirements. The presentation does not say what has been clarified, however we can only hope this clarification contains what is meant by modification of the powertrain. Bear in mind this is only for new motorcycles manufactured after a certain date – there are no proposals at present for these regulations to be imposed retrospectively – to motorcycles already manufactured. Obligatory wearing of full sleeve day-glo clothing for riders and passengers. This is particularly relevant as a communication from the office of Malcolm Harbour Chairman of the IMCO Committee and Shadow Rapporteur for the European Conservatives and Reformists Group (ECR) reports that Robert Rochefort MEP (France) has withdrawn his tabled amendments to the proposal – amendments – 97 and 103. (9) Directive 95/1/EC of the European Parliament and the Council of 2 February 1995 on the maximum design speed, maximum torque and maximum net engine power of two- or three-wheel motor vehicles gave the possibility to Member States to refuse the initial registration and any subsequent registration within their territory of vehicles with a maximum net power of more than 74 kW. The anticipated correlation between safety and absolute power limitation could not be confirmed in several scientific studies. For that reason and in order to remove internal barriers to trade on the Union market, this option should no longer be maintained. Other, more effective safety measures should be introduced to help reduce the high numbers of fatalities and injuries among riders of powered two-wheel vehicles in road accidents in the Union. “These measures should take into account in particular that driver behaviour is a major cause of accidents. In this connection, driver training focusing on defensive driving should be encouraged” (now withdrawn). (15) Member States should lay down rules on penalties applicable to infringements of the provisions of this Regulation and ensure that they are implemented. Those penalties should be effective, proportionate and dissuasive. “To be effective, they should be accompanied by regular roadside checks” (now withdrawn). 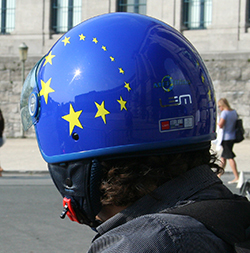 These meetings and committees need to not only be monitored by motorcyclists, but reported on because they are the basis for the Commission’s proposals for legislation and regulations such the proposed type-approval and market surveillance of L-category vehicles. Although this is all relevant for the present what is happening now is also relevant for the future!